I’m still here, still sorting out some life laundry type stuff. The decluttering has escalated. I have turned off all push notifications on my phone. This means I don’t see if somebody has emailed me unless I have the phone in my hand. I don’t see a mention on any social media network. I’m learning only to check my emails when I’m free. I’m focussing on my work; new projects, clients, and clearing the house of stuff that I don’t need. The 5-year-old goes back to school this week and I’m looking forward to getting back into a routine. Mind you I’m not looking forward to those walks in the rain that has descended for the week but I think the fresh air will do me the world of good. Anyway I thought I’d share an alternative breakfast with you. It’s not really a recipe. It’s more a suggestion. I normally serve this on a tray in the centre of the table and let everybody help themselves. The tray has fresh watermelon, cherry tomatoes, boiled eggs, a little lemon thyme, and (not pictured) some salty feta cheese. If you wanted to add a bread, you could eat this with pitta bread but we find ourselves so full after a bit of each item that we don’t look for bread. The eggs and feta are high in protein so keep you feeling fuller for longer. 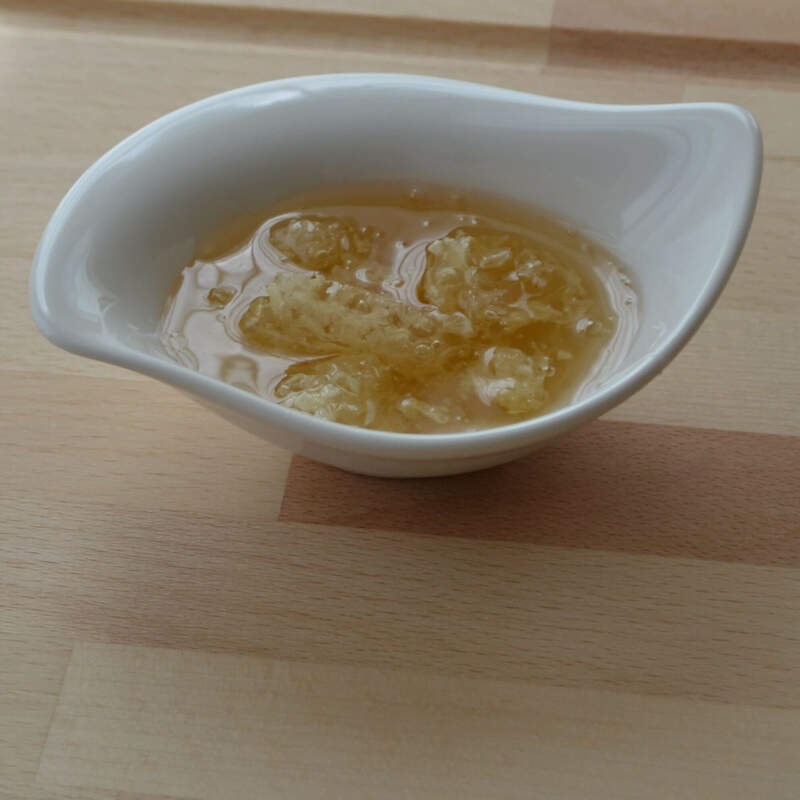 Our first crop of honey. Is it actually called a crop? We’ve been sharing a hive so have had to share the golden nectar but hubby’s queen has arrived and is acclimatising. Next year, all going according to plan we’ll have a little bit of honey from our own hive (that we don’t have to share). I’ll be back later on this week with something special for every single reader. You know how I love freebies, well I’m sure you all will too. Meanwhile, I’m off to make my 17th cup of tea. I’m trying to sync back to the 6am starts and am surviving on tea today.